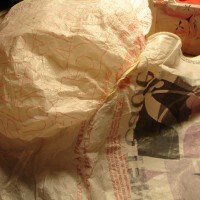 I began my research by looking at bags made of reusable materials, and thought about how some birds have begun using man-made materials like plastic to form their nests. 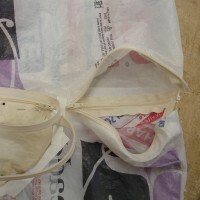 The white model below was based off images of hanging birds’ nests. 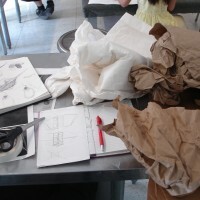 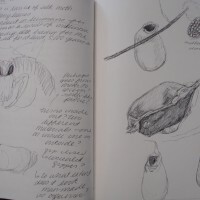 While I eventually shifted my focus from birds to silkworms and moths, I still was really interested in maintaining the idea of constructing organic forms from inorganic materials. 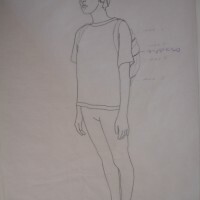 These were the first models I made. 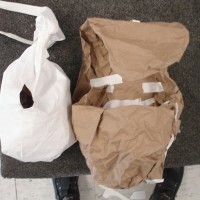 This first cocoon/chrysalis model transforms into a larvae, but I needed the transformation of the bag to strengthen the awareness I wanted the bag to bring. 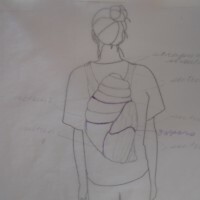 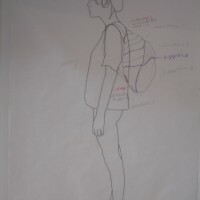 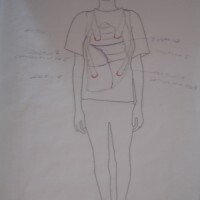 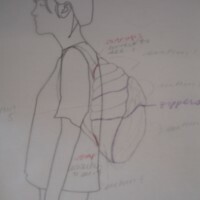 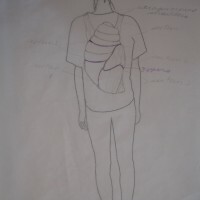 Here are the preliminary drawings of the chrysalis bag. 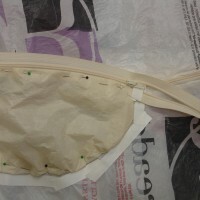 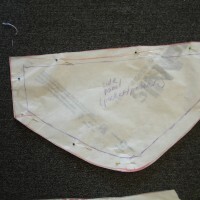 I marked the parts where the zippers will connect with colored pencil. 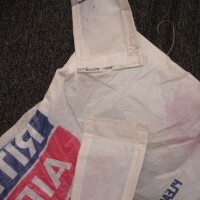 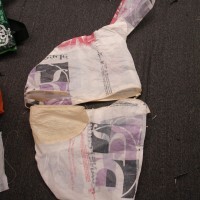 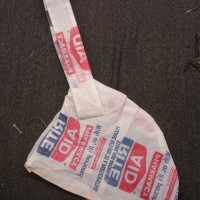 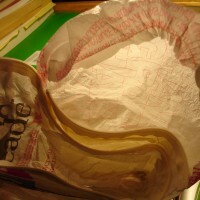 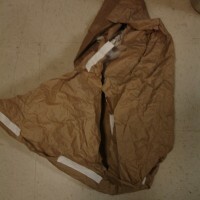 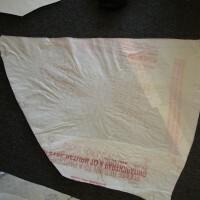 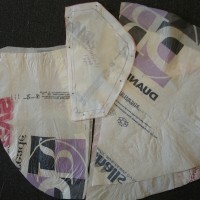 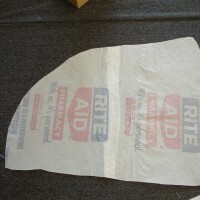 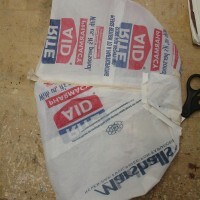 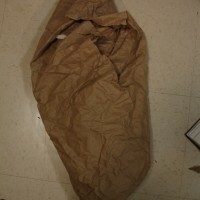 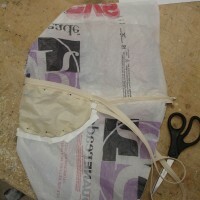 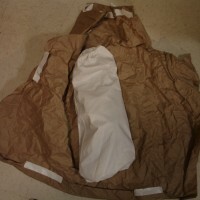 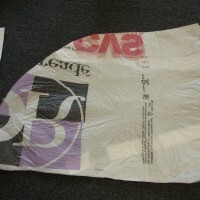 After making patterns, I began fusing plastic bags together and cutting them out.